Roermond ( Limburgish: ) is a city, a municipality, and a diocese in the southeastern part of the Netherlands. The city of Roermond is a historically important town, on the lower Roer at the east bank of the Meuse river. It received city rights in 1231. Roermond town centre has been designated as a conservation area. 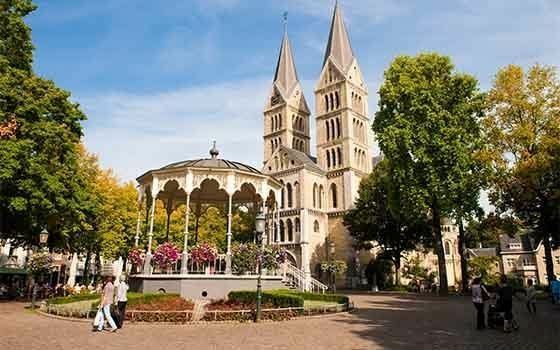 Through the centuries the town has filled the role of commercial centre, principal town in the duchy of Guelders and since 1559 it has served as the seat of the Roman Catholic Diocese of Roermond. The skyline of the historic town is dominated by the towers of its two churches: St. Christopher Cathedral and Roermond Minster or Munsterkerk in Dutch. In addition to important churches, the town centre has many listed buildings and monuments. Roermond is situated in the middle of the province of Limburg bordered by the Maas River to the west and Germany to the east. Where before Celtic inhabitants of this region used to live on both sides of the Roer river, invading Romans built a bridge (now called the Steene Brok, or stone bridge) and founded the first town at Roermond, now a suburb called Voorstad Sint Jacob. The Galgeberg is a small hill in Roermond. It is in the Kapel in t Zand-area of Roermond. "Galgeberg" is Dutch for "gallows hill". Once criminals were hanged or burned here. For instance in 1613, 64 witches were burned here; it was the biggest witch trial in Dutch history. Though Roermond grew and expanded steadily over the years to come it was not until the start of the 21st century that Roermond saw another boost coming. This recent growth was mainly caused by the construction of the highway A73 circling Roermond on the east-side. The highway was planned to open in January 2007 with the 2.5 km (1.6 mi) long Roertunnel leading traffic underneath a part of the city and the shorter Swalmertunnel underneath Swalmen. However due to delays the tunnels only opened with 1 carriageway available and frequent closures. The tunnels grew infamous during the first weeks when numerous closures due to technical problems caused constant traffic jams. The tunnels are now fully operational. Another highway connection under construction is the German autobahn A52. The last 6 km (4 mi) stretch from Dusseldorf to the German-Dutch border was recently completed. The highway leads from Roermond straight to Dusseldorf.